New Furniture – my books. my life. I meant to post this last weekend when it was delivered but Ben’s sister came to visit and I forgot. Like all young/poor couples, we had a lot of hand-me-down furniture and hardly any of it was our “style.” So now that we both have steady income, we decided to treat ourselves to some furniture that could be our own. Earlier this year we bought a chair, a couple bar stools, and a new coffee table/end table set. They can be seen in my new apartment post from December. 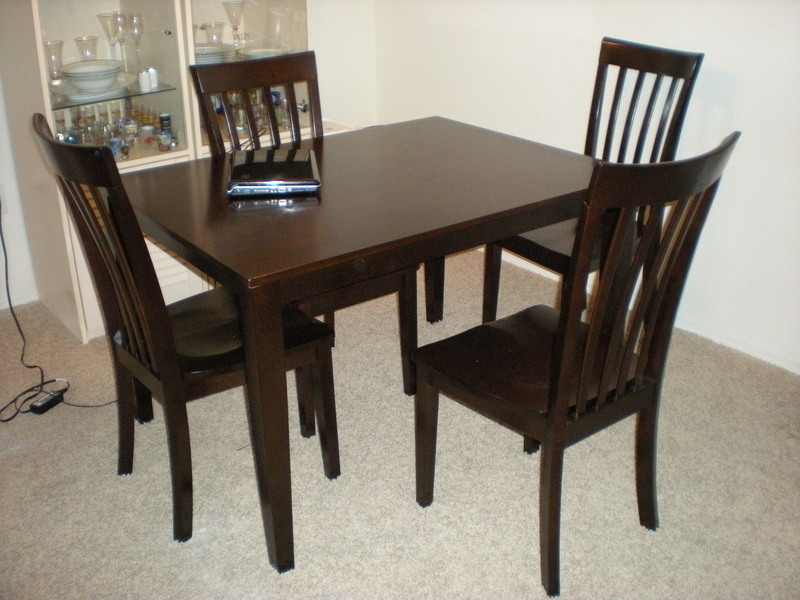 The one thing we really disliked was our dining room table set. It was light wood/glass/metal/cloth and we never used it. I’m not sure if we’ll use the new one, but we love it. Simple, dark wood, more us. We also have been having an issue with Daisy chewing through cords and wires (which we would then have to replace). We figured it would probably be cheaper in the long run (and better for Daisy’s life expectancy) to buy a new TV stand that hid all of the wires from her. 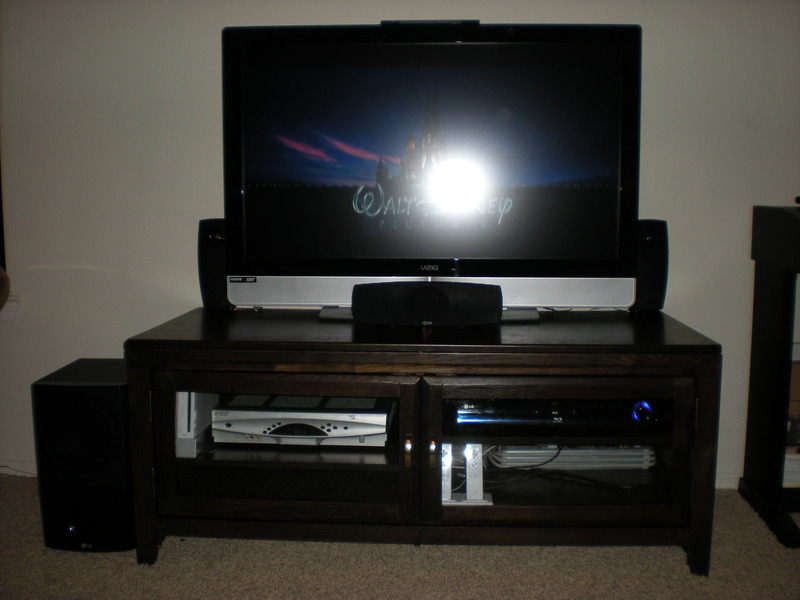 There is also a new BlueRay surround sound system in there (Ben’s birthday present). The furniture I would love the most is going to have to wait a while though. We have this horrible, impractical bedroom set that I really can’t stand. But we don’t think it is a good idea to get a new one before we buy a house (which will hopefully be in the next year or two).